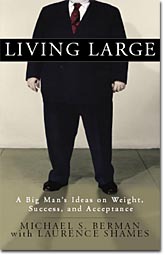 Advance accolades for "Living Large." Mike and "Living Large" have attracted the attention of Good Morning America, the Washington Post and a variety of other media outlets. Full text of the introduction from Mike Berman's book, "Living Large." Photos of Mike Berman with his wife, his friends and his colleagues.